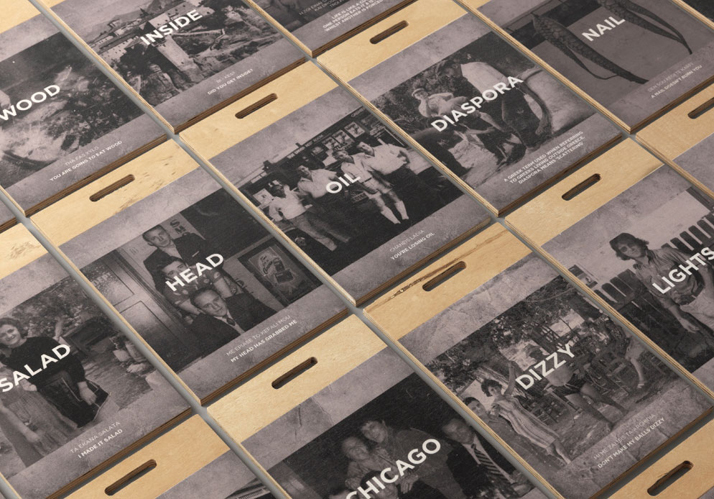 Brand identity and interiors by Sydney-based studio EndofWork. 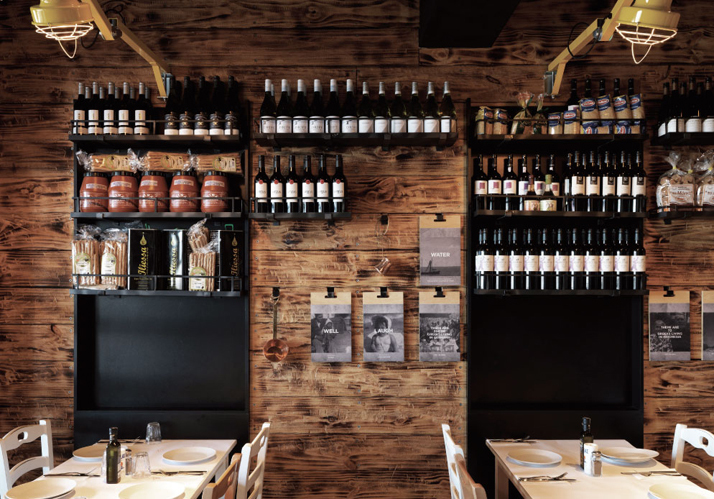 This restaurant chain started with a simple idea: bring together traditional and contemporary aspects of Greek culture and cuisine. 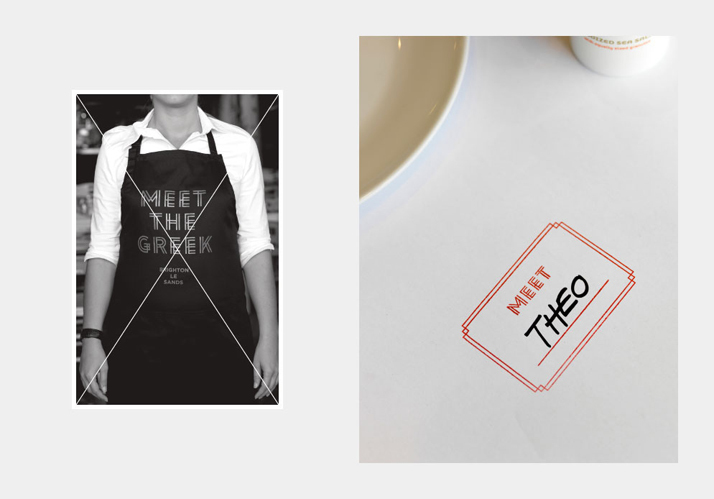 End of Work was given the task of translating this into a visual identity and interior design. Check images and description below. 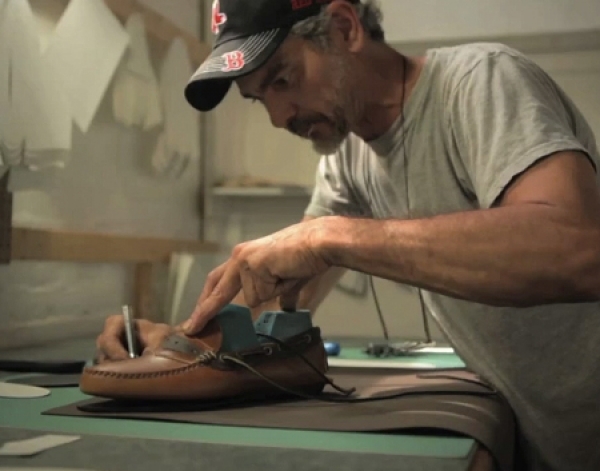 The concept we devised was based on ‘modern authenticity’. 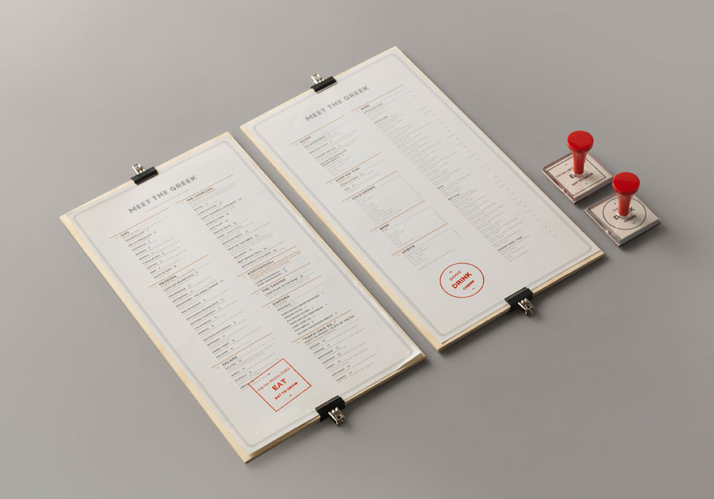 Identity and interior work together seamlessly thanks to ‘identity boards’ created for the restaurant walls. 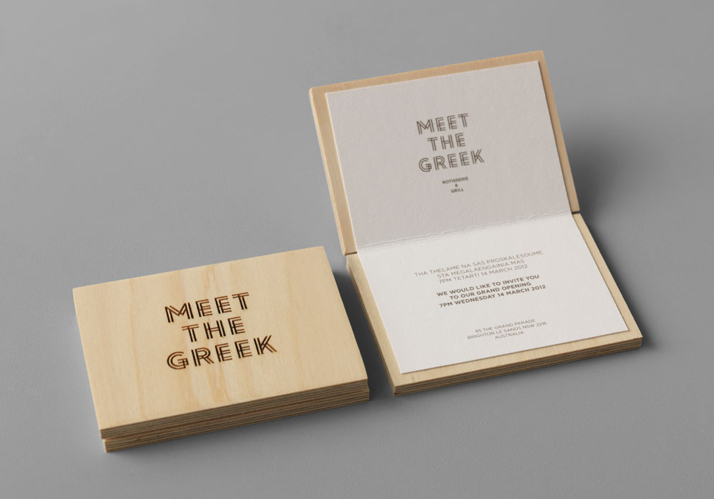 These modular wooden panels feature Greek sayings, translated back into English – an exercise that made for some humorous results. 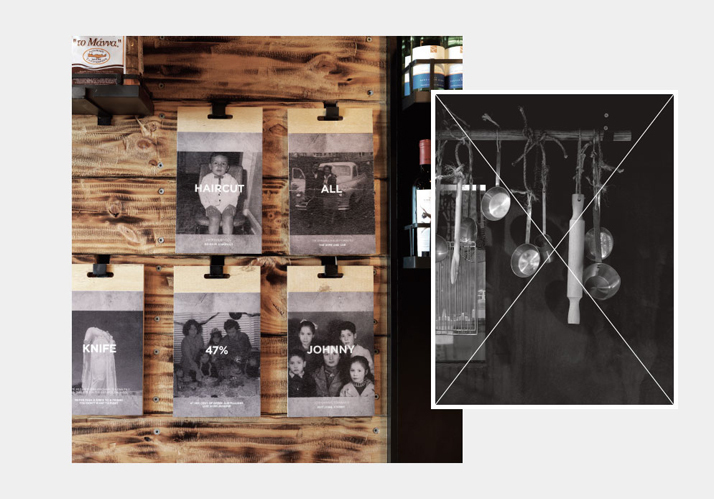 Black and white family photos were incorporated into these boards, adding a sense of quaint nostalgia. 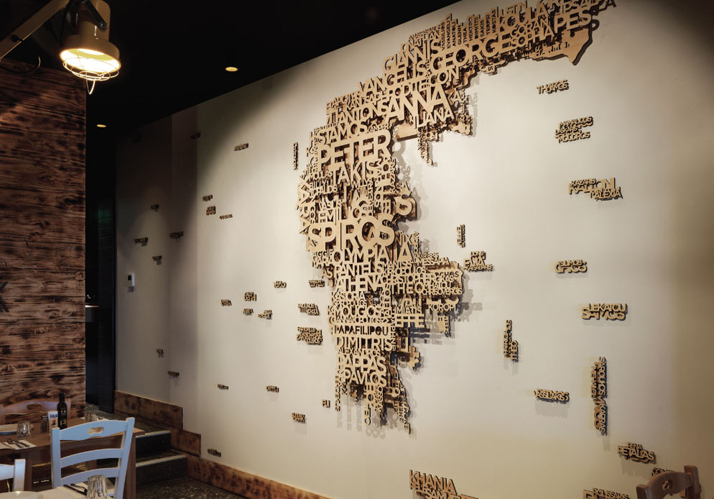 End of Work also created a 10-foot high typographic map comprised of three layers of sculpted typographic words. Intricately laser-cut from plywood, it created a show-stopping centerpiece for the restaurant itself. 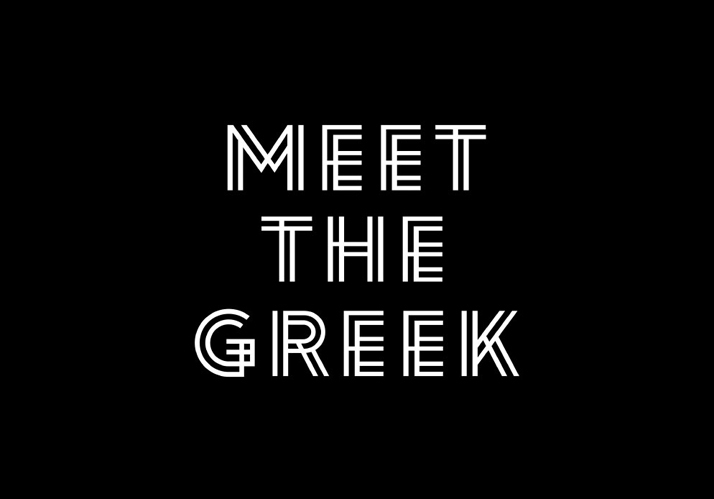 From its architecturally inspired logo to laser-etched plywood menus and innovative ‘matchbook’ business cards, every facet of Meet the Greek’s identity was designed to be unique, quirky and engaging.